Description about eBook : I was happy to know that a reference book, ‘Bharti Krishi Vigyan Kosh’ is being published by the Indian Council of Agricultural Research. 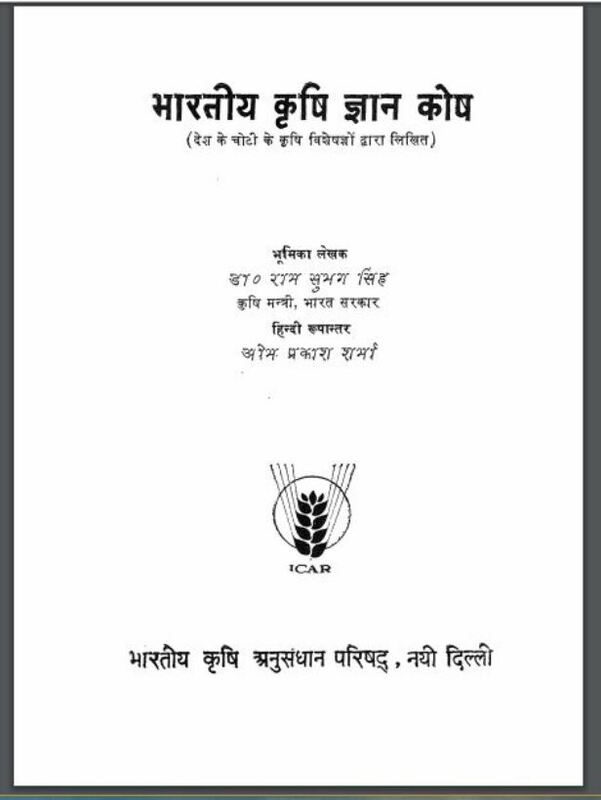 This is the Hindi version of the English book ‘Handbook of Agriculture’. Farming has a special place in the developing economy of our country………….